Meeting the consumers’ demands, fulfilling legal requirements and improving the productivity are amongst the main goal of a food processing company. That is why using a projected capacitive touchscreen technology is essential to cope up with the demands and be not left behind with the latest trends today. However, capacitive touchscreen devices are very sensitive where it also requires a perfect panel device to maintain its functionalities. Thus, a waterproof stainless steel panel PC is the best option for food processing industry. Why A Projected Capacitive Touchscreen Technology Is Essential For Food Processing Industry? Surely, you own a high-end facility or a computer control system that fully operates for your food processing business to maintain the good quality of your product as well as your services. But, it would also be ideal to upgrade the system. A projected capacitive touchscreen technology enables the operations to work easier since it provides accuracy as it is also automated. To strengthen its life span, installing a waterproof stainless steel panel PC is, likewise, an essential move for a food processing firm. A panel PC for food processing specialises in performing production and processing of foods to ensure quality and productive operations. If panel PCs are built in a stainless steel and waterproof case with touch technology capabilities, it can create high-speed performance even in an intense environment. Plus, it can also handle all types of temperatures and prevent any potential risks such as contamination, loss of data, and even delays of deliverables. Hence, a waterproof stainless steel touch panel PC is designed to withstand harsh food processing environments and passed the hygiene standards of the industry. Factors like accuracy, quality and quantity are very important. 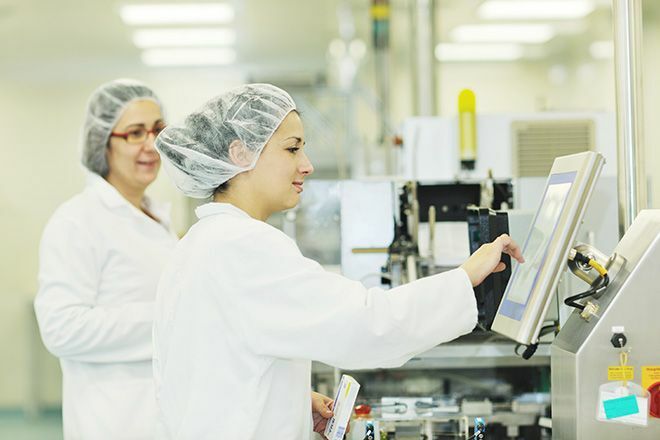 With touchscreen tools, you can never go wrong with the food processing operations. First, a waterproof touchscreen panel device resists the entry of high-temperature and high-pressure water and protects itself against temporary submersion. Its enclosure is suitable for freezing temperature or high-temperature conditions within the food processing environment. It can easily withstand contamination and is easily washable by disinfectants or industry-standard detergents. Next, it is also made of stainless steel enclosure to ensure its compatibility in harsh food processing environments. This also prevents bacteria growth, eases the cleaning process, does not oxidise, and does not corrode. 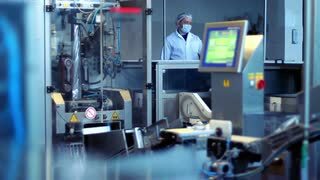 In a food processing environment, it is also necessary to record data and information such as time, and how the food was processed. With touchscreen panel devices, ease of data entry is achieved as well. In general, panel PCs integrated with projected capacitive touchscreen devices meet the standard requirements for food processing industry. So, it is guaranteed contamination-free and germ-free. These PCs are built for prolonged usage, rust-proof and it also prevents the accumulation of moisture and dust inside the computer. With these innumerable benefits, owning a waterproof stainless steel touchscreen panel PC for your food processing business is a good investment after all. Contact your touch technology expert today to learn more information.